Our patients don’t dread their dentist visits! Read our reviews and you’ll see why our practice is built on referrals. Our friendly and patient team offers dentistry for everyone – from toddler to teen, adult to senior. Get flexible dental care for the whole family in one place! View our latest special offers and discounts including our $75 new patient special! Have a dental emergency today? Don’t wait until tomorrow to get relief. We have a same-day policy for all dental emergencies and injuries. Dr. Kristy Gretzula has made it her commitment for more than 10 years to understand and cater to the dental needs of her patients with care. Dental emergencies are never convenient or comfortable. Get emergency dental care today! We accept over 90% of dental insurers. Read our growing list! At Hawley Lane Dental, we understand that you have many options when choosing a dental office. That is why we make it our mission not only to treat you as we would our own but also to make your visit as hassle-free as possible. 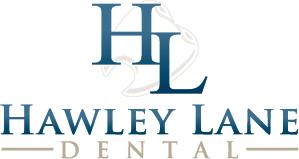 Located in Stratford, Hawley Lane Dental offers comprehensive dental care. Whether you’re in need of a check-up and dental cleaning or you need to discuss options for replacing missing teeth, we will work with you to meet your treatment needs. Many people search Google for a “cosmetic dentist near me” and call one of the first dentists in the results without doing much more research. While having a dentist nearby is important, it’s also important to know that you’re hiring the right dentist for you. Dr. Kristy Gretzula and her team have extensive experience in all aspects of dentistry. Our modern office has the best technology and equipment to ensure your visit is comfortable. Dr. Gretzula has been a long-standing member of the American Dental Association, Academy of General Dentistry, Connecticut State Dental Association and Bridgeport Dental Association. She also continues to gain knowledge in advancing trends in dentistry to ensure her patients are receiving optimum care. Hawley Lane Dental is committed to customer service and exceeding the expectations of our patients! Dr. Gretzula has been voted a “Top Dentist” by her peers since 2010 and the friendly team at Hawley Lane Dental has over a hundred 5-star reviews on Google! Patients of Hawley Lane Dental agree that if you’re looking for the best dentist near you, you need to call us today! Dentistry is not “one size fits all.” Customizing treatment and making recommendations based on an individual’s needs is our top priority. Our patients from toddlers to adolescents have different needs than patients in adulthood to their senior years. Focusing on mouth-body health is our specialty! Once your initial treatment is complete it’s important to continue with regular dental care. Periodic check-ups and examinations are vital to maintaining your oral health. Whatever your needs, Dr. Gretzula and her team work to exceed your expectations. Because we are a general dentist office, most treatment is completed “in-house”. General dentists receive their education in restorations (including composite fillings and dental crowns), dentures, tooth implants, veneers, pediatrics, oral surgery, endodontics (root canals) and periodontics. For cases where a specialist is necessary, we work with many local oral surgeons, endodontists and orthodontists whom we have personally been treated by or would recommend to our families. Hawley Lane Dental offers comprehensive examinations and dental cleanings, but many patients also seek our services for more advanced treatment such as teeth whitening and Invisalign. Dr. Gretzula keeps current on the most beneficial products and materials to keep your mouth at its best. She prefers to use metal-free fillings and crowns and uses digital x-rays when necessary. She is one of the only dentists in the area using infrared technology to evaluate tooth health and utilizes the technology of the VELscope® to aid in the early detection of oral cancer. Whether you need an emergency dental appointment for a toothache or are looking for a new family dentist, you are welcome at our office. Hawley Lane Dental opened its doors in spring 2008. Dr. Kristy Gretzula and her husband, Bill, built the office from scratch. They turned concrete and beams into a beautiful, warm environment. As a mom to two small children, Dr. Gretzula knows what it’s like to juggle a hectic household, which is why Hawley Lane Dental continues to be a family-friendly dental office. Hawley Lane Dental maintains the small, homey feel where you know you are well cared for. If you are asking yourself about a “new dentist near me”, we proudly serve Trumbull, Bridgeport, Shelton, and other surrounding areas with the same commitment we provide to our local patients. Our office is only 10 minutes away from both Trumbull and Bridgeport, yet our comprehensive cosmetic dentistry services make a world of a difference in creating beautiful and healthy smiles. On Hawley Lane, many families find everything to meet their needs. Target, Big Y, the Marriott (and Parallel Post restaurant) and Kohl’s are some of the many businesses that locals frequent. Hawley Lane is right off Route 8 and the Merritt Parkway for easy access. Hawley Lane Dental fits everyone’s schedules! We offer same-day dental emergency appointments (because toothaches can’t wait until tomorrow!). For busy families and professionals, we offer early morning, evening and weekend appointments while many of our seniors enjoy our quiet hours between 11 a.m. and 2 p.m. Overall, our team is dedicated to ensuring that your experience is as smooth as possible! From your first step into our office to your treatment and check-out, you are cared for by warm, friendly individuals. We work hard to help you understand and maximize your insurance benefits and we make sure your dental insurance claims are processed correctly and in a timely manner. We work with over 40 insurance carriers. Whether you’re a patient from a large organization such as Sikorsky, Unilever, Bridgeport Hospital, Bic or State of Connecticut, or from a smaller company, we know your insurance. Our Insurance Coordinator will provide you with a complete breakdown of exactly what your insurance plan provides and will file all your claims electronically for you. We offer numerous specials to existing and new patients. We recognize and thank veterans for their service by offering a 10% discount. Brides and grooms love our Invisalign and teeth whitening specials. We also offer a popular “new patient special” for those who wish to establish their new dental home with us but find themselves without dental insurance. When you are looking for a dentist in Stratford, Trumbull, Bridgeport, Shelton, or the surrounding area, please contact Hawley Lane Dental to schedule your first appointment. Dr. Gretzula is looking forward to seeing you! Call our Stratford dental office at 203-377-9300 today!